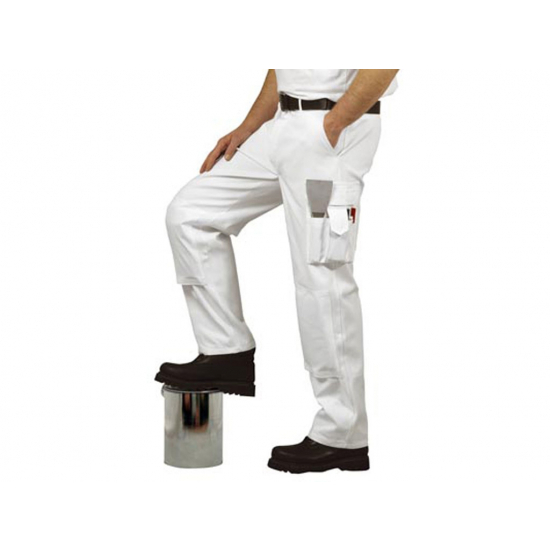 Portwest Painters Trousers are hard wearing and fully absorbent. 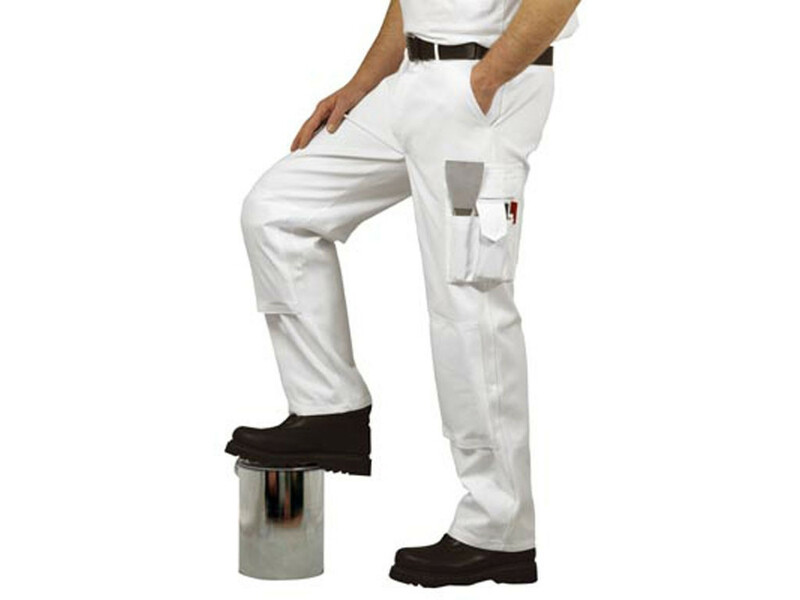 Featuring the latest innovative design this modern painter's trouser with pre-shrunk 100% cotton fabric and reinforced seams. Functional and practical work-wear with 8 total pockets. Including a layered thigh pocket for mobile phone and pens and side knee pad hip and rule pockets. Elasticated waist with hook and bar closure for comfort. Size X Large, 40"- 41" (100 - 104cms) Waist. Tall 33" Leg.